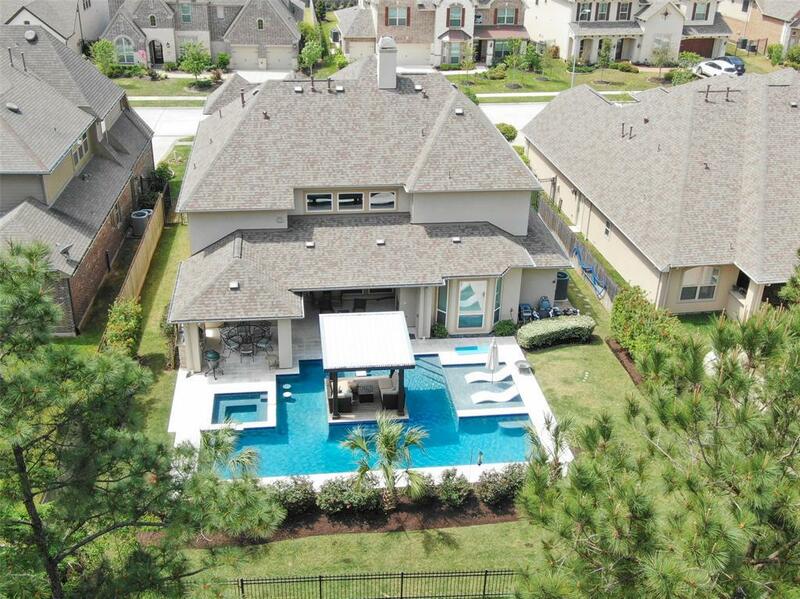 Spectacular Lakes of Shadow Creek home! This impressive home features courtyard entry w/gated loggia. Study off entry with custom built in bookshelves provides privacy while working from home. Formal dining, butlers pantry w/wine frig; walk in pantry adjacent to kitchen which features a large island w/sink! SS appliances include dbl ovens, 5 burner gas cooktop, microwave & refrigerator. Family room features gaslog fp encased in a wall of trim up to the ceiling. Wood look ceramic tiles run throughout the main floor. Master suite on main floor w/dual vanities, dual entry shower & large closet. Laundry & Guest suite w/bath on main floor. Two BR up w/Jack & Jill bath, fully wired media room, game room w/built in bar plumbed for water & a second office nook & bath. 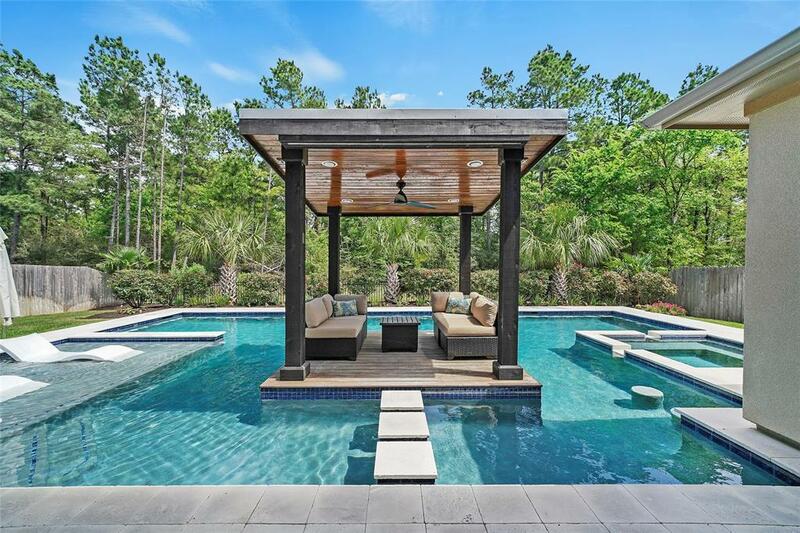 This home boasts a 22Kw generator, an impressive backyard pool w/sunning area, stepping stones leading to a mid-pool covered deck, Spa, Swim up seating. Outdoor kitchen w/grill/sink all backing to a greenbelt for privacy!